Personalised Full Colour Printed PictaLeather Glasses Case. 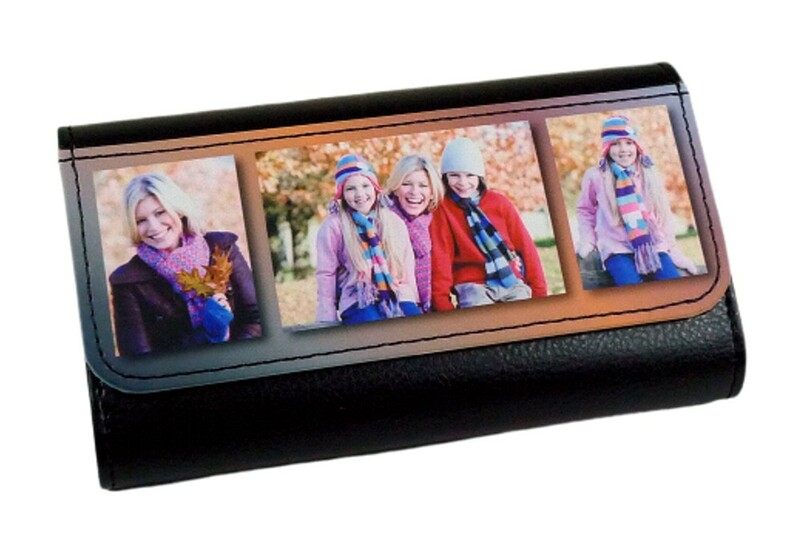 This is a hard PictaLeather glasses case with magnetic closing front flap, the printable front panel measures 15.2 x 5.8 cm. This is a great personalised gift which is ideal for a gift for many occasions including Birthdays, Christmas, Anniversary.....it's endless! If you choose to have text we have a selection of fonts for you to choose from. There is no limit on the amount of characters you can have but please remember the more you have the smaller the font size will be. Please detail your requirements by clicking the customise button below.